How Much Does a Pediatric Cardiologist Make per Year? 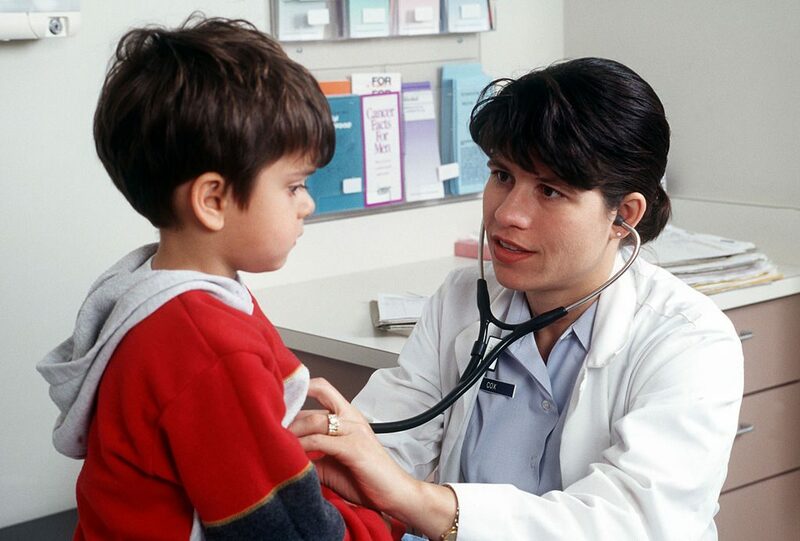 A pediatric cardiologist is a cardiologist who has specialized in working with children. They provide cardiovascular treatment to children and adolescents. In US dollar currency, annual salaries for pediatric cardiologists in the US and Australia are similar at about $326,000 and AU$436,000 ($329,556 USD), respectively, followed by New Zealand at NZ$366,000 ($252,106 USD), Canada at C$316,000 ($245,853 USD) and the UK at £167,000 ($197,930 USD). South Africa annual salaries for pediatric cardiologists can reach R1,914,000 ($139,518 USD) while salaries in India are about Rs1,921,000 ($29,814 USD) per year. Earning potential varies by geographic region, professional experience, and work setting as explained in this guide. The following chart provides salary information for pediatric cardiologists in select countries worldwide. Salaries for pediatric cardiologists are dependent upon geographic region, professional experience, and work setting. This guide provides data to help inform salary expectations as well as career insight. In the US, pediatric cardiologists receive an annual salary of about $326,000, on average, with bonus income adding more than $24,000 in additional pay. Entry level positions garner an average starting salary exceeding $215,000 per year compared to senior level positions offering nearly $439,000 per year. Pediatric cardiologists in Canada earn an average annual salary of about C$316,000, plus another C$24,000 in bonus income. The average starting salary for entry level positions is nearly C$209,000 per year, increasing with experience and responsibility to well over C$425,000 annually. The average annual salary for pediatric cardiologists in the UK exceeds £167,000, and bonus income can add up to nearly £13,000. On average, entry level pediatric cardiologists receive well over £110,000 per year compared to their senior level colleagues who see annual salaries of more than £225,000. Pediatric cardiologists in Australia earn more than AU$436,000 per year with bonus income adding up to AU$33,000 in additional earnings. Newly trained pediatric cardiologists see an average starting salary of nearly AU$289,000 while senior level professionals earn more than AU$588,000 annually. In New Zealand, pediatric cardiologists receive an average compensation of more than NZ$366,000 for a base salary and an additional NZ$28,000 in bonus income. Those early in their career can expect an average entry level salary of more than NZ$242,000 per year, and earnings will continue to rise with experience and responsibility to nearly NZ$494,000 per year. The average annual salary for pediatric cardiologists in India is nearly Rs1,921,000 and another Rs144,000 or more in bonus income can be further boost overall earnings. On average, entry level positions garner an annual salary of about Rs1,288,000 compared to senior level pay that can top Rs2,625,000 per year. In South Africa, pediatric cardiologists see annual earnings reach R1,914,000 plus another R144,000 in bonus income. Entry level pediatric cardiologists can expect an average annual salary of more than R1,274,000, increasing to roughly R2,598,000 per year for senior level professionals. Pediatric cardiologists are highly trained, and additional experience can greatly reward these professionals with higher incomes. Regardless of geographic region or salary amount, there is a growth rate of about 103% to 104% in annual salaries for senior level positions compared to entry level positions. For example, in the US, senior level pay is about $224,000 more per year, an increase of 104%, compared to entry level salaries. In India, the gap between senior level and entry level pay is about Rs1,337,000, or 103% greater. Pediatric cardiologists are employed most often in hospitals, clinics, and private practice. According to a Medscape Report, self-employed cardiologists earn about 19% more than their colleagues employed by others. Those employed in for-profit or private organizations may receive higher base salaries and greater bonus potential compared to working in nonprofit or public sector organizations. Most pediatric cardiologists maintain a full-time work schedule often exceeding 40 hours per week. Those working in private practice typically hold normal business hours from Monday through Friday while hospital practitioners may work any day or time of day due to the 24-hour care provided to patients in these settings. A comprehensive benefits package is common for pediatric cardiologists with inclusion of medical, dental, and vision coverage, paid time off for vacation, holidays, and sick time, and additional professional benefits such as liability insurance and conference attendance. Some employers offer bonus income incentives, but this perk is offered to only about 38% of cardiologists in the US, possibly due to many being self-employed and responsible for their own benefits and bonuses. The US Bureau of Labor Statistics anticipates a 15% growth rate among physicians, including pediatric cardiologists, through 2026. This faster than average growth rate comes from improved medical technologies and treatments and increased access to healthcare. A career in pediatric cardiology requires a bachelor’s degree and a medical degree followed by three to seven years of internships, residency, and training. Successful completion of a licensing exam is required as wel as registration with a medical governing body in the region of employment. Pediatric cardiologists are among the highest paid healthcare professionals worldwide, and while the educational and training investment is extensive, there is a strong return in annual salaries. Benefits packages are strong and bonus pay is seen worldwide. The future need for pediatric cardiologists is expected to grow at a faster than average rate, meaning incomes and employment opportunities are expected to remain high.